‘I am O.K.’ reads the name of the new album of the Berlin-based producer, DJ and label owner Oliver Koletzki. The title’s ambiguity is, of course, deliberate: there’s a deeper meaning hidden behind the humorous facade that is Chrisse Kunst’s hand drawn cover, which depicts an unadorned thirteen-year-old Oliver sporting nerd glasses and a striped jumper: I am Oliver Koletzki, raw and authentic. Back then, everything starts with an old C64 and his first hip-hop beats. 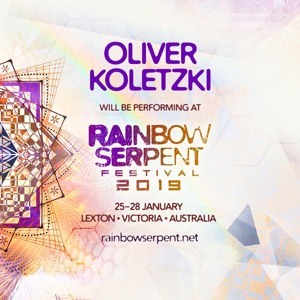 Oliver Koletzki quickly discovers a love for electronic sounds, which he produces on one of the first Atari ST computers. At the age of eighteen, he initially plays records in his hometown of Brunswick, quickly becoming an in demand DJ of the local scene. In 2000, he then decides to move to Berlin in order to turn his passion into a career – and, of course, to immerse himself in the city’s excessive nightlife. The first steps are always the hardest though, and Oliver Koletzki has to practise patience for a few years and wait for his breakthrough. In 2005, the superstar-DJ Sven Väth comes across a self-pressed white-label vinyl: Oliver Koletzki’s ‘Der Mückenschwarm’. Convinced by track’s incredible potential, Väth pushes for an official release via his Cocoon imprint. The critical and consumer resonance is definitive – Oliver Koletzki is the man of the hour. The readers of Groove Magazine vote him Newcomer of the Year. Gigs in renowned European clubs and a residency at the infamous Bar 25 follow, while ‘Get Wasted’, his debut album, strengthens Oliver Koletzki’s position in the scene.